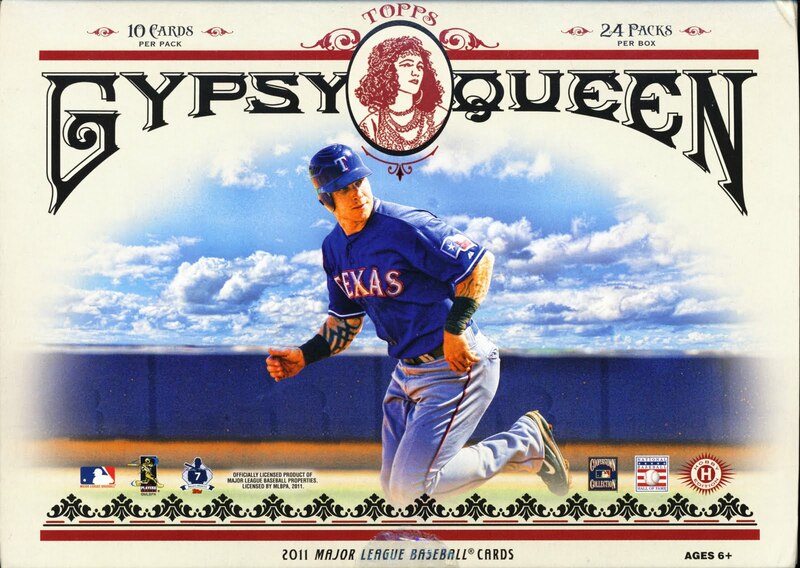 Gypsy Queen could be my favorite Baseball Card release of the year. These cards look great. While collation problems have been an issue for Hobby boxes, people are still buying out these cards making them harder to find, causing hobby box prices to climb. All of this does not detract from how good these cards look and how fun it is to rip into these packs. Here is our hobby box break of 2011 Topps Gypsy Queen Baseball cards.